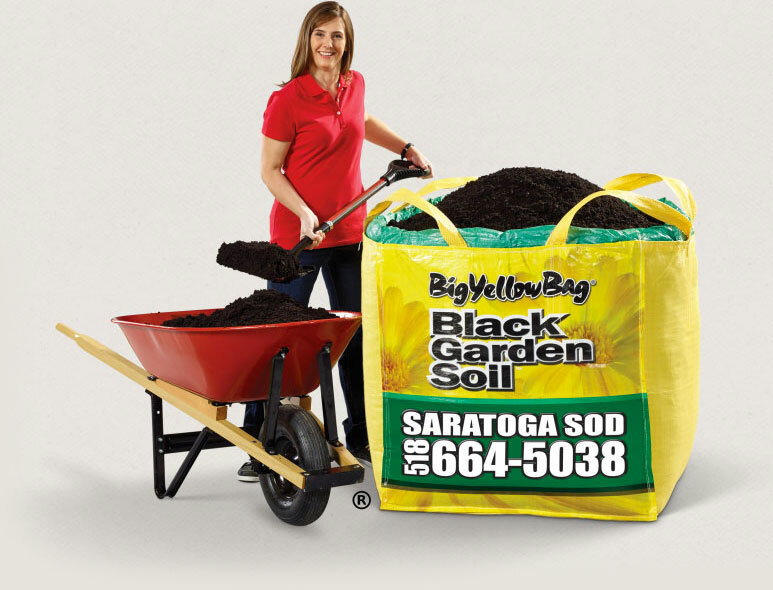 The easiest way to get an overstuffed cubic yard (3’x3’x3’) of rich, loamy Black Garden Soil delivered in a bulk bag to your home. Black Garden Soil works best when it is incorporated into the top few inches of your existing soil to enrich and improve it. A blend of black loam, peat loam and composted manure, these ingredients encourage microbial activity for plant growth. 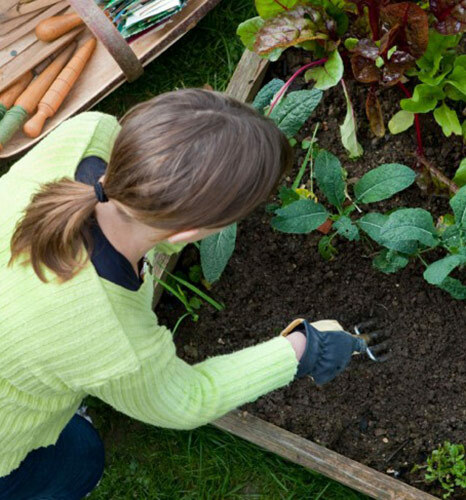 Helps lawns too—raking in Black Garden Soil helps break down thatch, and encourages deeper, healthier roots. No more lugging dozens of bags from the garden center. No messy pile dumped on your driveway, stores conveniently off to the side. No mad rush to use it up before it rains! Unique top cinches closed to stay dry, ready when you are. You don’t even need to be home on your delivery date. Mark an “X” on your driveway with chalk, duct tape, or other visible material where you want your BigYellowBag placed. 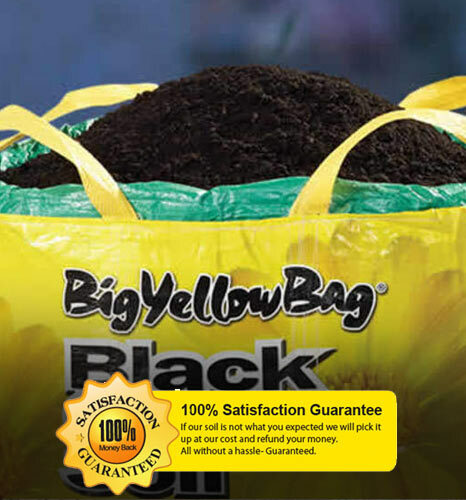 Just $145.00 for a BigYellowBag of Black Garden Soil or Black Mulch, Delivered to your home. (within 30 miles of Saratoga Sod). Saves time and money vs. lugging dozens of bags from the garden store. Early Bird Discount: $25 OFF each bag when ordered and delivered by March 31st! 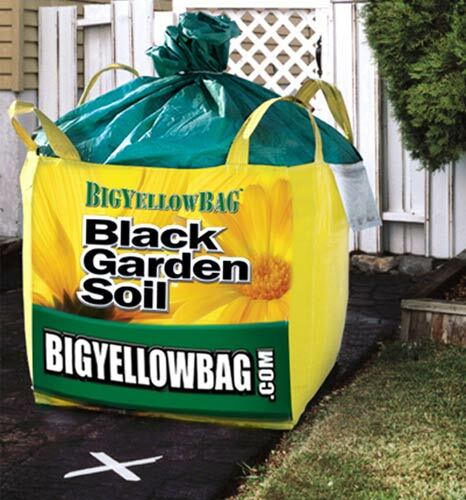 Enter for a chance to win a BigYellowBag of Black Garden soil! Use code SXWEB19. Each Submission gives you a 1 in 492 random chance of winning. Premium Seed Mix – 3 lbs. A quality fast and versatile seed mixture. 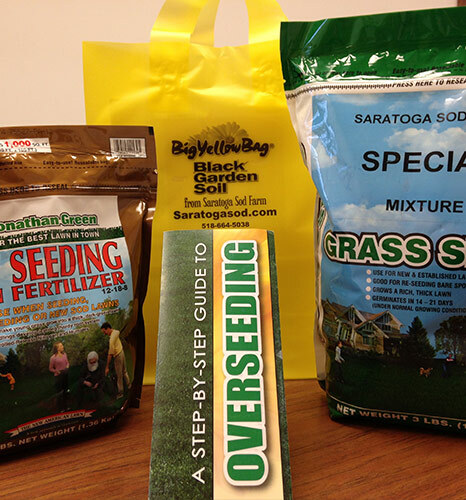 Step-By-Step Instructions – A complete guide to overseeding your lawn. Regular price: $29.95, on sale for $24.95! To use the chart, determine the square footage of your area and look for that number to the left side of the chart. Then determine the depth of the soil you feel is needed and find that number along the top of the chart. Where the two boxes intersect will be the approximate cubic yards of soil needed. Remember, when using the chart for soil calculations, add 20% to the yardage recommended to account for compaction. Order online anytime, Convenient delivery, Ready to use! We will gladly pick up the empty bag when we deliver your next BigYellowBag. If you are in the Stillwater area, you can bring your empty bag back to us (at 1670 Route 4) and we’ll recycle it. 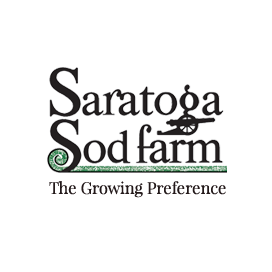 Sod Farm Website Design and Development by Mannix Marketing, Inc.